In herbal medicine, as in the culinary arts, we use the leathery greyish leaves of that wonderful hairy, shrubby herb called Sage. Popular in gardens all over the world, it’s a tough little grower, it smells good and it produces beautiful whorls of blue to purple flowers. English herbalist John Gerard called Sage 'singularly good for the head and brain, it quickens the senses, restores health to those who have palsy and takes away shaky trembling of the members' An old adage goes 'Sage helps the nerves and, by its powerful might, Palsy is cured, and fever put to flight'. 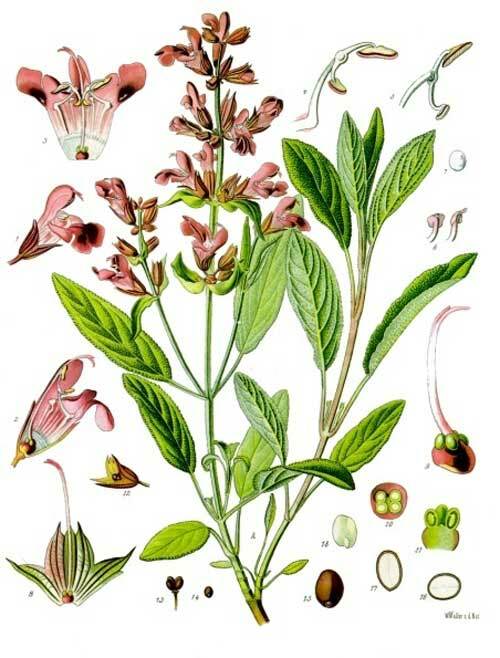 The British Herbal Pharmacopoeia (BHP) describes Sage's actions as carminative, spasmolytic, antiseptic, astringent, antihidrotic (to alleviate excess sweating) and says it is indicated for dyspepsia, pharyngitis, uvulitis, stomatitis, gingivitis, glossitis, internally or as a gargle or mouthwash. Hyperhidrosis and galactorrhoea and specifically indicated for inflammation of the mouth, tongue or throat, as a gargle or mouthwash. The BHP suggests a dose of 1-4 gms or by infusion or a dose of 1-4mls of the ethanolic extract. 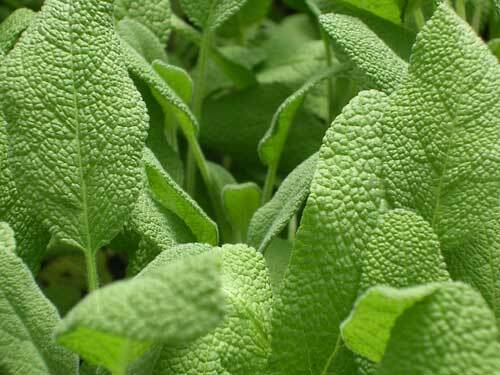 Sage has been used for many illnesses since ancient times. 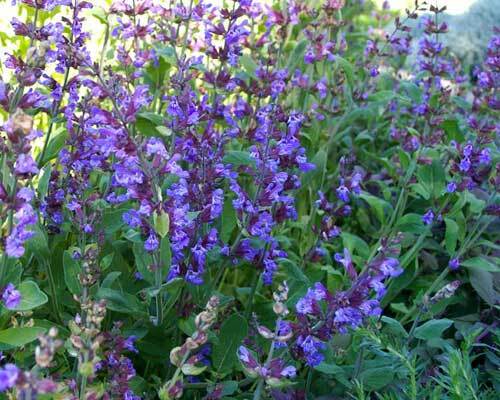 The most enduring uses of Sage that persist to this day can be divided into several categories. 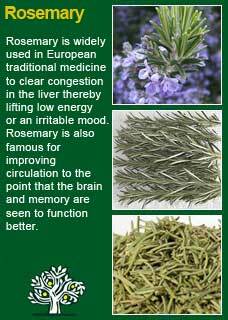 For most people, young or old, Sage is a very safe medicine that can be used in high doses if required. However, Sage may be best avoided as a high dose medicine during pregnancy and it has traditionally been used to help dry up breast-milk so it should not be taken during breastfeeding unless coming to an end. 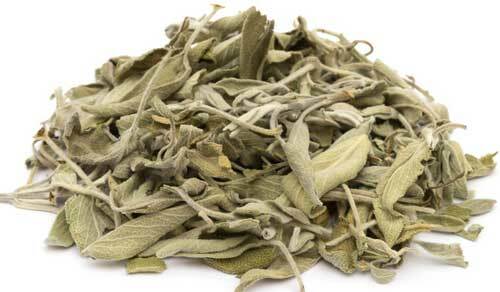 Sage can work very quickly however, like many of our medicinal herbs, dosage can be the crucial difference between success or failure and for most people high doses of Sage may be initially required. My advice is to be prepared to start strong with Sage, make sure it is working well, then be ready to cut the dose back as soon as you feel your system needing to back off. If you who are reading this are studying herbal medicine or if you just want to understand this ancient plant ally at a much deeper level for your own reasons then I warmly encourage you to make some Sage tea (just a half a tsp in a cup of freshly boiled water for 5 minutes will be ample for this experiment!) or take 10 or 20 drops of its tincture and then, with a quiet and attentive mind, observe for yourself how it makes you feel. This old way of experiential learning is a tremendous way to appreciate the power of these plants beyond where academic study can take you. I have done this experiment enough myself and with others to know not to predict to you how it will make you feel but just try and see with an open mind and I think you will be pleasantly surprised! Like all herbs, much of the art of getting success with it lies in the dose. Modest doses, just a ml or so at a time, can convey its nervine benefits, or gain its local effects in the mouth or throat, but much larger amounts can be required to see a significant change to excess sweating. See the tea recipe below to see the kinds of strength that can be required in using it as a dried herb to get a result in this difficult condition. By far the largest part of my own use of Sage in practice has been in tincture form where we can easily adjust the dose up or down as needed. As a tincture, I would readily use amounts in the range of 4-6 mls, twice a day to run a trial with the herb to see if it could help, reducing the dose after getting a good result to see if the benefit was sustained at a smaller dose. Sage combines perfectly with Rosemary as a brain tonic, with Echinacea for mouth and throat problems and with St John's wort to improve mood and lessen anxiety. 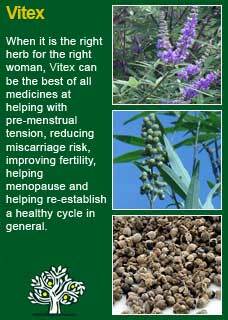 When not needing to use it in such high doses for excess sweating, I have found that smaller doses of Sage combined with Vitex has worked brilliantly in some particularly difficult menopausal transitions. This excerpt is from John Heinermann, Medical Anthropologist. 'Any kind of intense itching, whether it be due to an allergic reaction to some unknown substance, general nervousness, psoriasis and eczema or coming in contact with poison ivy or sumac, may be effectively relieved and healed with an old folk remedy from Nassau in the Bahamas. A kindly old cook by the name of Mistress Marshall, who lived to the decent age of 102, was known far and wide for her practice of bush medicine. 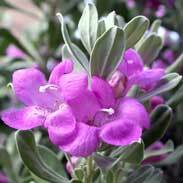 One of her favourite remedies for itching was to steep a handful of cut, fresh sage leaves (firstly lightly crushed) in 1 pint (600mls) of recently boiled water for about one hour. After this, the strained liquid was used to bathe the afflicted parts. Then while the skin was still wet with this solution, she would generously sprinkle whole wheat flour (not white) over the entire area and leave to dry. Relief came within 10 minutes as a rule and never failed once that I'm aware of'. Put 20 drops of this formula into a glass of water and gargle or rinse the mouth at regular intervals, up to once every hour if needed. Sage can be a stand-out remedy for excessive sweating; from any cause, but be prepared to take it strong for it to really work! For a strong medicinal tea of Sage take up to 2 heaped tablespoons (this would equate to between 8-10 grams of dried Sage, and you would need about double that amount of the fresh herb) and place in a saucepan with about a little over half a litre of water. 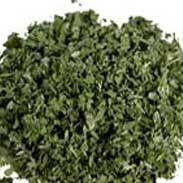 A heaped tsp of Sage leaf is about 1.5 grams, so you could use 6 heaped tsps to get around the same amount. Bring to the boil, cover it, then leave for another 15 minutes before straining the tea, then allow the tea to cool to room temperature, or even refrigerate it. The extra heat from briefly boiling the water helps to extract some of the active constituents in the Sage and, so long as it is well covered, the important essential oils that come out in the steam will condense back into the liquid tea as it cools. For some people with excess sweating this tea will be fine to drink at room temperature but for others it will be even better if it is chilled right down by being placed in the fridge. For some people a small and regular dose through the day will clearly work better and for others it will make no difference to their response if they just have the tea in two or three large doses. Be guided by your own body and what makes you respond the best. It is okay to add some honey or maple syrup to taste. 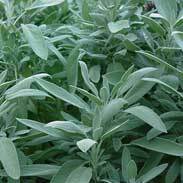 Note that this recipe is a way to make a very strong preparation of Sage. The idea is to start at the maximum dose and, assuming it works, you then have the happy problem of being able to reduce the amount to see if you still get as much benefit. Most women who are taking this to help menopausal sweating will end up only needing a smaller dose, but I recommend starting at the top of the dose range anyway. It won't hurt and it means you quickly get to find out if it will help! TOP | HERBS A-Z LIST. 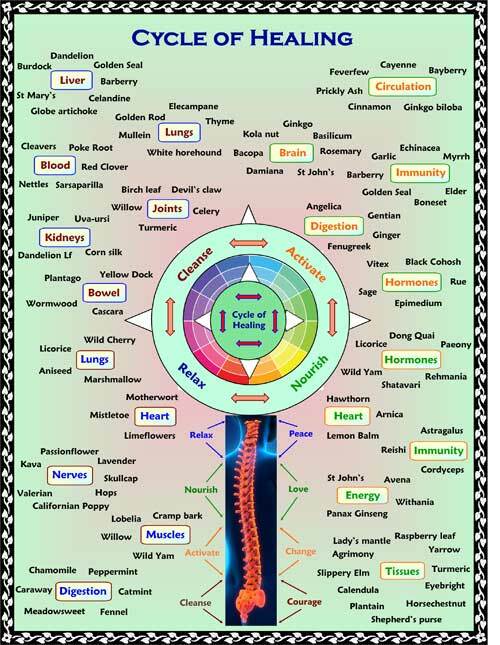 Much of the information here about the traditional uses of Sage is consistent with the model of thinking whereby one may treat problem A with plant B. There is value in this approach, especially in how it helps us pass on useful knowledge to one another, but it falls short in one vital area; and that is that people are not all cut from the same cloth! Something that works brilliantly for one person may do less for another -- why is this?